Ethiopian Prime Minister Abiy Ahmed speaks during a media conference at the Elysee Palace in Paris, Sept. 29. Widely reported cases of civil unrest in Ethiopia's restive Oromia and Amhara regions had almost put the country's ruling coalition, in power since 1991, to the brink of collapse. Before Ethiopians' from those regions joined calls for democracy and economic fairness, much of the political protests in the country were mostly limited to the capital, Addis Ababa, a city where security is always tight and armed soldiers on Toyota pickups is a common sight. In the wake of 2005's much-contested albeit fraudulent elections in Ethiopia for instance, residents of Addis protested the results of the election and subsequent decrees of state of emergency by the country's leader, the late Meles Zenawi. The protests ended with hundreds murdered and thousands jailed. Since then, Addis became a city where open criticism of the regime is dangerous and its citizens' political participation remain mostly limited to social media, carried out under pseudonym accounts. It is when the politically conscious citizens of Addis slowed their open anger against the regime that the countries' two largest regions and their respective citizens emerged with timely calls for democracy, rule of law and political and economic equality. To the dismay of elites in the ruling coalition, such minor protests became uncontrollable. Many lost their lives for the cause of democracy. Civil disobedience became common. Destruction of government properties and series of clashes between the raging youth and the regime's security forces put the country future in the state of unknown. Farmers from Gondar and their quickly formed militias in the Amhara region fought with the Ethiopian army. Amhara youth from Gondar, Gojjam and Wello provided the ultimate test for the Ethiopian federal police and military forces. Meanwhile, the Qeerro, group of Oromo youth in much of Central Ethiopia played an insurmountable role in destabilizing the regime's security forces and the government at large. Road closures and economic boycotts that occurred in much of Oromia, Ethiopia's largest region, further paralyzed the country's fragile economy. Ethiopia's ruling coalition, EPRDF, was left with no options and opened doors to reforms. The regime acknowledged that it has lost public trust and promised to make amends for it. Such actions of reform made EPRDF's survival very much certain. Hailemariam Dessalegn, Ethiopia's Premier since 2012 resigned. Abiy Ahmed, a young reformer took the reins of government. Since then, the reforms have been dramatic and the country's politics for the last six months has been in a state of transformation. With a historic peace agreement signed with Eritrea and resumption of people to people relations, East Africa's politics of violence is now replaced by talks of economic integration. Unfortunately, despite the fact that Ethiopians seem content and patient with Prime Minister Abiy Ahmed's administration and its efforts to transform the country's political and economic outlooks, flurries of ethnic conflict and evictions of people merely based on their ethnicity have posed greater challenges to the stability of the state. The government's efforts to calm ethnic tensions and to resettle the evicted are praiseworthy. Nevertheless, the fact that such responses are slow has become unsettling to much of the country's citizenry. It was at this critical juncture the ruling coalition concluded its general assembly meeting in early October. At the meeting, reform leaders with enormous public backing have been re-elected by the central committee. Thus, Prime Minister Abiy Ahmed has found an opportunity to reassemble his cabinet for the second time this year and to present his vision for the country at the parliament's second meeting since Ethiopian new year, celebrated on Sept. 11.Among the most expected outcomes of the cabinet reshuffle, the downsizing of cabinet departments from 28 to 20 has caught many eyes. Even more, Prime Minister Abiy's new cabinet will now include a Ministry of Peace, which will be an inauguration of a new ministerial department designed with hopes of improving ethnic relations in the country and work towards peace and reconciliation among citizens that have been ravaged by unprecedented levels of ethnic tensions over the last two decades.Such moves by Abiy definitely show his administration's desire to pursue an agenda of creating a peaceful and more tolerant country. However, such an interesting move has also missed some crucial points. First of all, the ruling coalition appears to have underestimated the major causes of ethnic tensions in the country – the regime's extreme emphasis on ethnic politics and its prioritization of the group rights agenda. This is not to argue that group rights matter less to that of the individual rights. However, the fact that more emphasis is given to group grievances has left the need to respect individual rights last in the pecking order of the rights agenda. Abiy's government should take into consideration that in a multiethnic Ethiopian state with Africa's second highest population size, anything less than the need to promote citizenship politics could prolong ethnic tensions even further. It's understandable that many political organizations have opted to organize along ethnic fault lines, with goals of prioritizing ethnic interests over that of citizenship politics, which primarily focus on respecting individual liberties. And such challenges are not to be undermined. However, the fact that the EPRDF's ruling coalition remains the most powerful political force in the country means that the eventual decisions the front makes could have serious transformational effects on the country's politics at large. What should the ministry prioritize? Here it is important to note that the introduction of a new cabinet that works on Ethiopia's peace is admirable. But the regime must also look into ways to reform the country's fragile ethnic federal arrangement that has created two layers of ethnic regional administrations, with some peripheral states dubbed developing regimes and others considered developed. Such an institutional design has precipitated ethnic competitions, the race for resources as well as unprecedented levels of irredentist claims within the same polity. Moreover, the ruling coalition will also look beyond the ideals of survivalist politics and its leaders need to focus on the most important legacies that they could leave behind instead of merely executing the party agenda. Reform leaders' crucial legacies should point to aims, such as peaceful coexistence of groups and reinvigorated Ethiopian nationalism, which could be achieved through the promotion of citizenship politics. 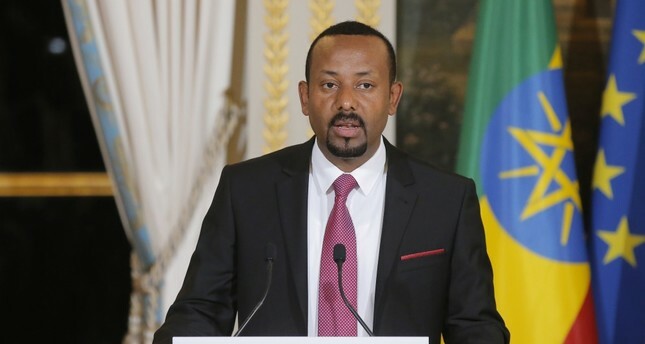 If the current impressive reforms could take into consideration the ideals mentioned above, Abiy's administration, already in its infancy, could end up being one of the most consequential political administrations in Ethiopia's modern political era. My hope is that Ethiopia's new Ministry of Peace and its officials would also take those thoughts very seriously since their efforts guided by those principles could serve the interest of Ethiopians better.